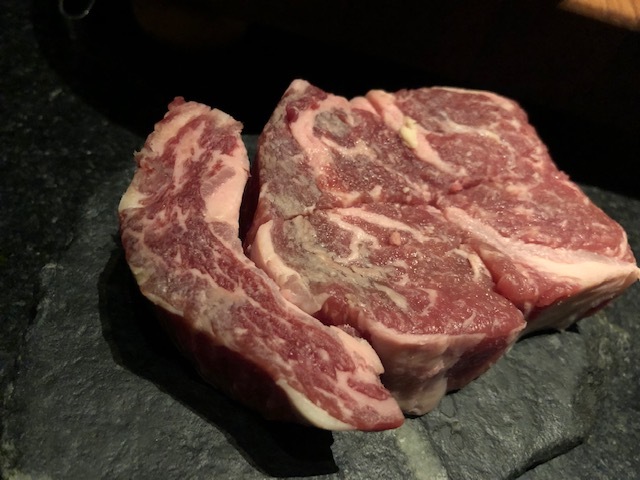 Korean BBQ meets American Steakhouse in every sleek, over the top style as possible at Cote in Flatiron. 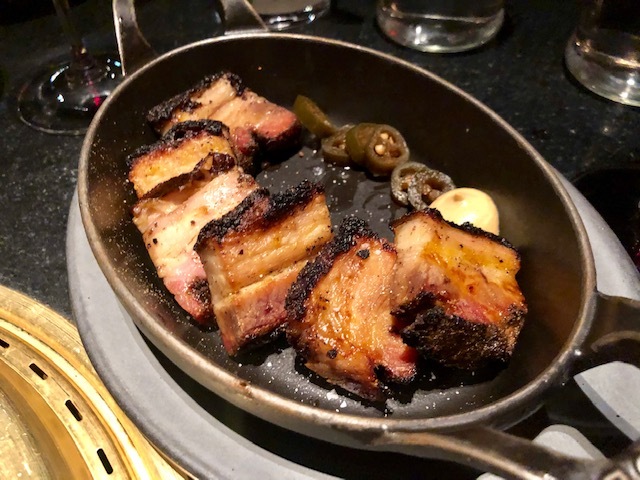 This hot spot is known best for it's Butcher's Feast, a selection of four cuts of meat with Korean sides, but if you're a glutton (like most of us are) you'll probably want to add on a few extra items as well like the Korean Bacon. These thick, squares of pork belly were almost melting when they arrived with a smokey, charred exterior and soft, fatty center kicked up a notch by spicy pickled jalapeno. 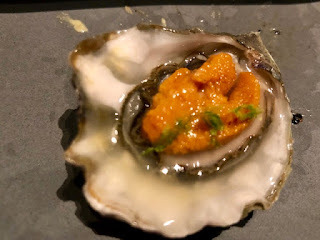 I would also add on the Fisherman Welcome, a briny West Coast oyster topped with a beautiful dollop of uni. 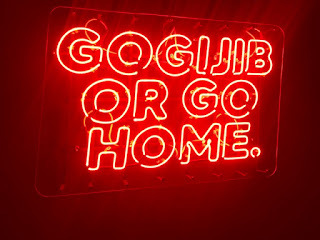 What's not to love about that? 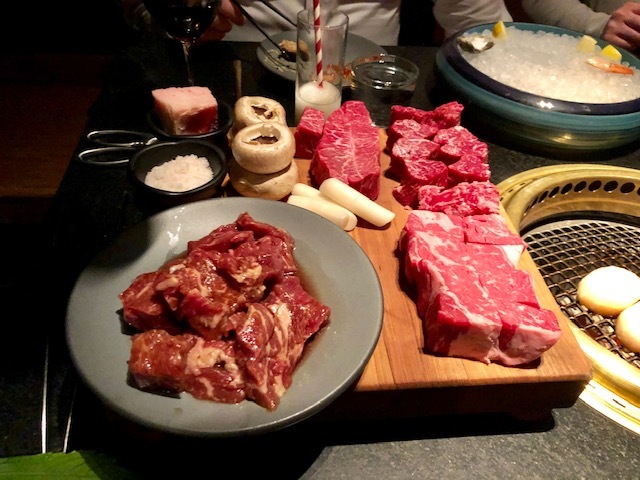 Onto the Butchers Feast a selection of four cuts of USDA Prime meat and American style Wagyu served with an array of Korean sides including spicy kimchi stew, savory dwen-jang stew, a gorgeous egg souffle, scallion salad and red leaf lettuce with ssam-jang. 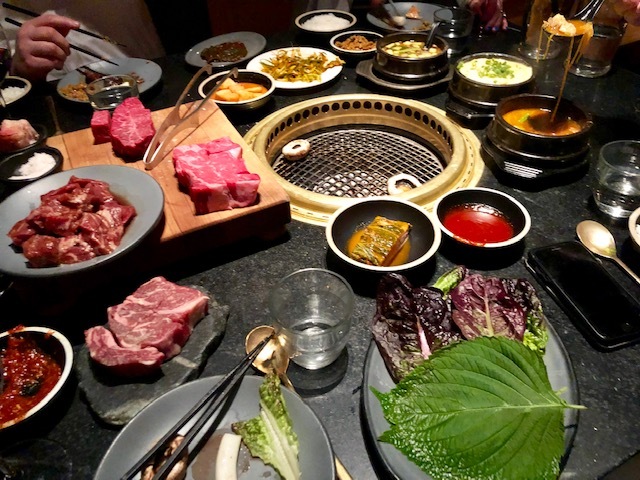 It's a straight up feast of food. The waiters cook everything for you at the table and guests can add on more items throughout the meal as they wish. I was exceeding full from the Butchers Feast alone but didn't shy away from the 150 Dry Aged Prime Cut when it arrived either. 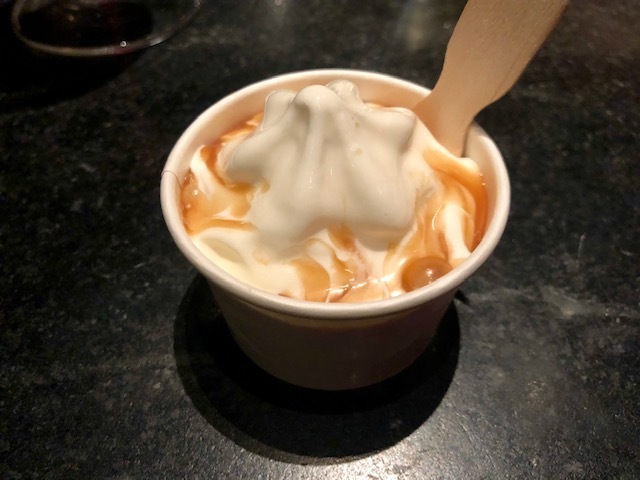 To close out the meal a serving of Vanilla soft serve topped with a soy salted caramel sauce. Maybe it was all the rich meat or possibly the wine and Mai Thai's imbibed over the course of the meal, but this soft serve was absolutely amazing. Reservations are hard to come by, most are secured 30 days out, but the wait and the persistence in snagging one more are more than worth the effort for this amazing meal. 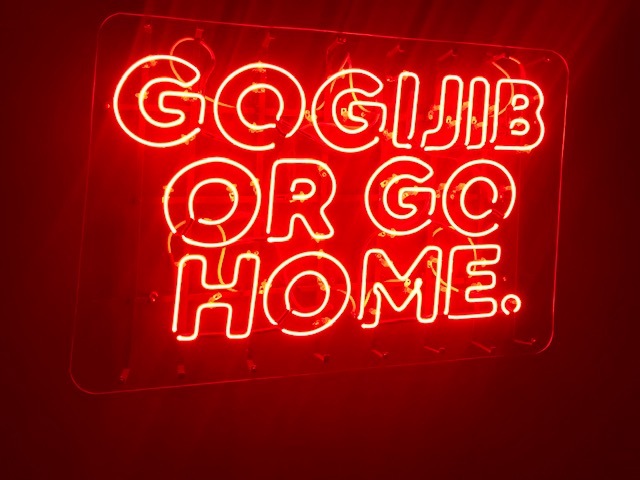 Gogijib or go home!